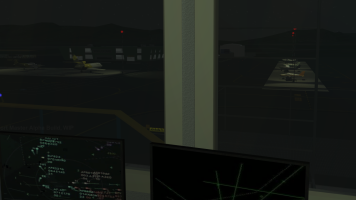 Airport Master is a very detailed game about airport management and aviation in general. 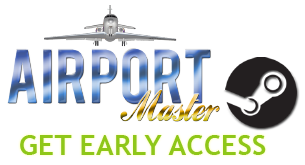 Play as a newly appointed Airport Manager and bring your Airport to prosperity and growth! Manage all aspects of everyday Regional Airport life, such as airline contracts, aircraft ground services, passenger terminal businesses, flight schedule management and many more. Buy fuel via system of refinery contracts and sell it to aircraft operators via fuel truck loading and centralized pipeline. Hire technicians and cafeteria cooks! Tear you hair apart when weather suddenly interrupts your brilliant flight scheduling ) Upgrade airport facilities, radio-navigational aids, buildings, businesses, vehicles. Win airlines' respect and city mayor's approval! 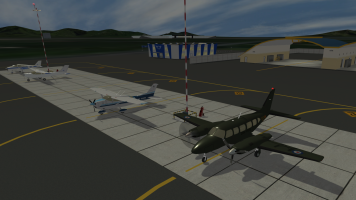 Use money you earn to build even larger better and more technically advanced airport! Enjoy detailed realistic 3D-graphics, real world equipment, airplanes, helicopters, vehicles, primary and secondary radar, ATC procedures! Generally speaking, any PC running 64-bit Windows, with CPU up to 10 years old (e.g. Core 2 Quad) and Video card up to 5 years old (e.g. GTX 760) should run the game smoothly at 1920x1080 fullscreen resolution with Graphics quality set to "Maximum". We recommend GTX 960 or newer video card, plenty of RAM onboard as the game engine is capable of pre-loading all resources and thus freeing up CPU time for calculations (which are numerous in Airport Master).